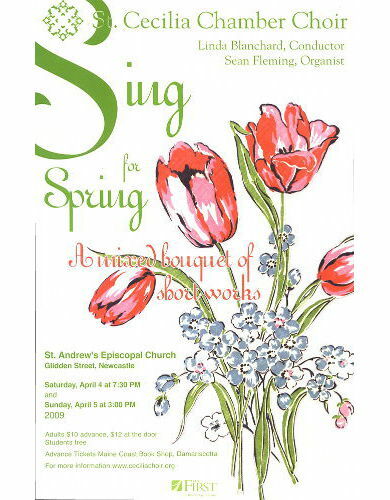 On April 28 and 29, 2012, the 30-voice auditioned choir will offer up a potpourri of musical delights, most of them focusing on spring, nature, love and poetry, under the able direction of Linda Blanchard with masterful accompanist Sean Fleming at the organ and piano. 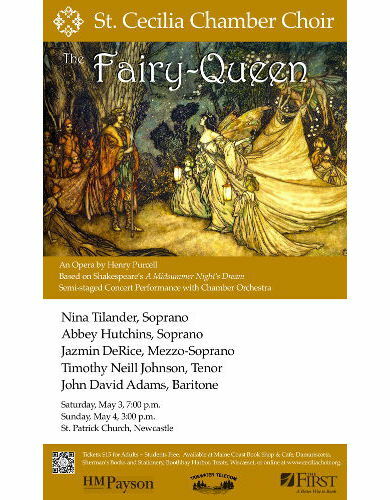 The selections will span the Renaissance through a newly composed world premier, and range from the sublime to the ridiculous. 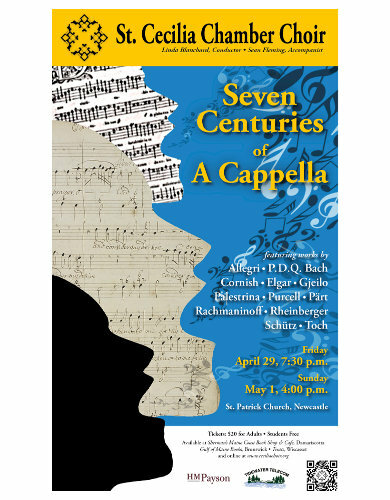 They’ll be sung in English, Italian, French and Latin, so these concerts will truly have something for everyone. 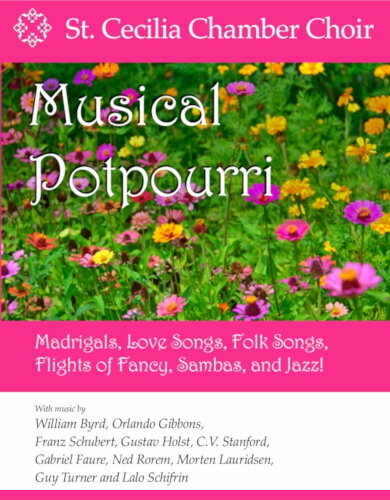 Shakespeare fans will be delighted with “Three Shakespeare Songs” by Ralph Vaughan Williams, two of them from The Tempest and the third from A Midsummer Night’s Dream, followed by Matthew Harris’s settings of “It Was a Lover and His Lass,” from As You Like It, and “O Mistress Mine” from Twelfth Night. 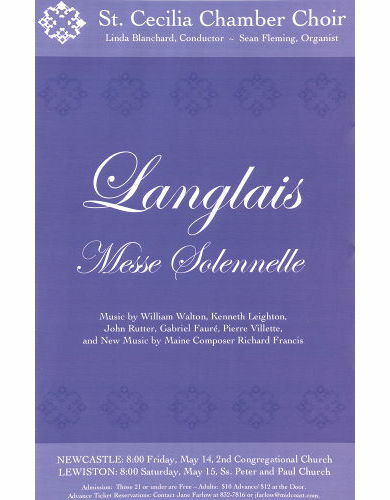 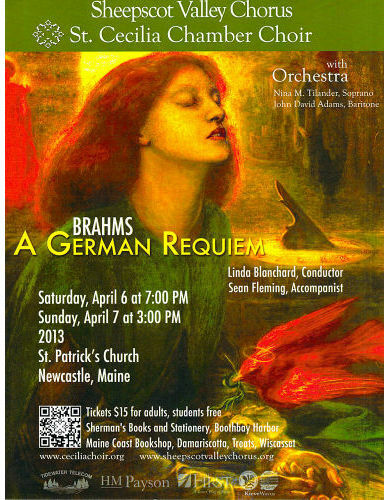 One of the choir’s several missions is to support and encourage Maine composers, and those with Maine ties. 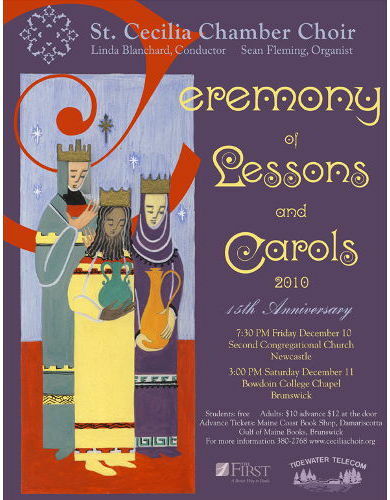 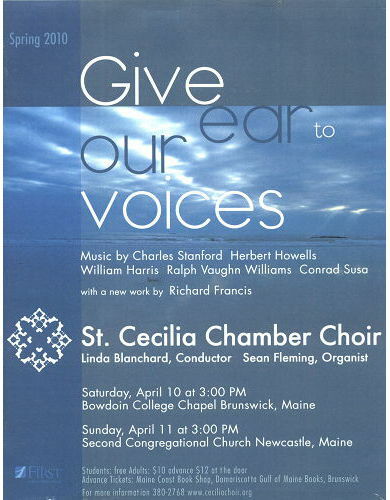 To that end audiences will hear “For Winter’s Rains and Ruins Are Over”, a 2010 composition by Damariscotta’s own Richard Francis, also a noted tenor soloist and cellist. 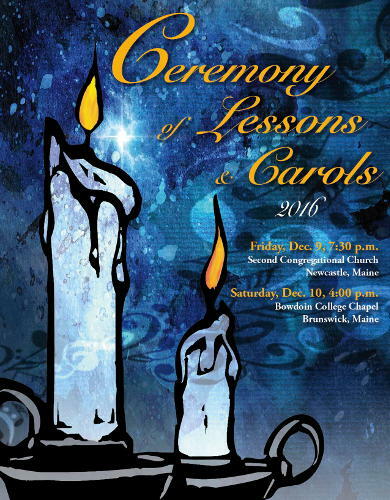 Additionally the chamber choir has commissioned Todd Monsell of Charleston, South Carolina to compose a new piece. 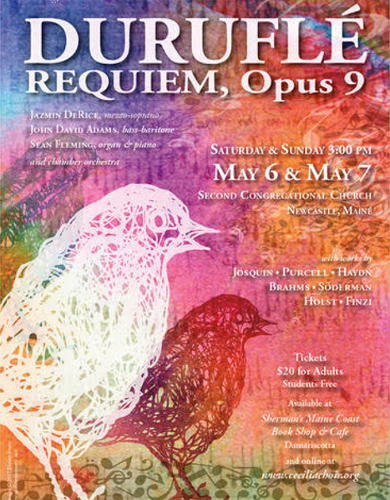 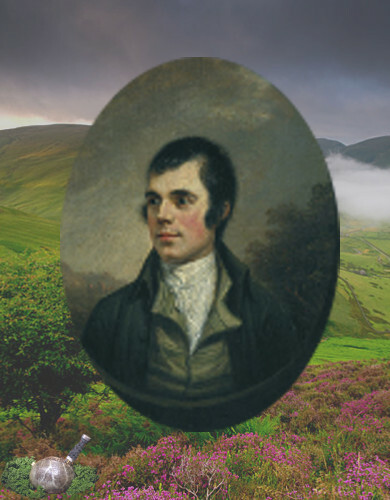 He has chosen for his text “A Prayer In Spring” by beloved New England poet Robert Frost. 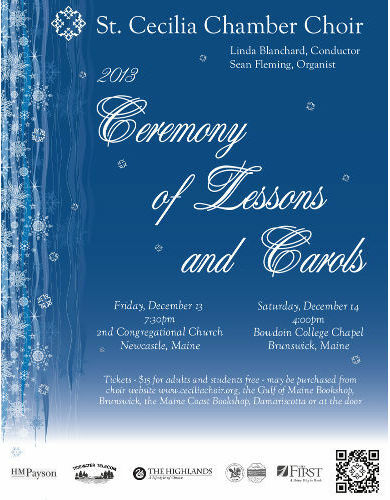 Todd is the son of soprano Ruth Monsell and Will Monsell of Damariscotta. 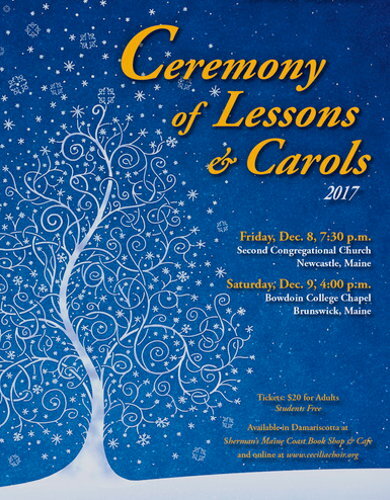 So whether you enjoy whimsical sea shanties, sacred music, poetry set to tune, or just love excellence in singing, reserve the date now. 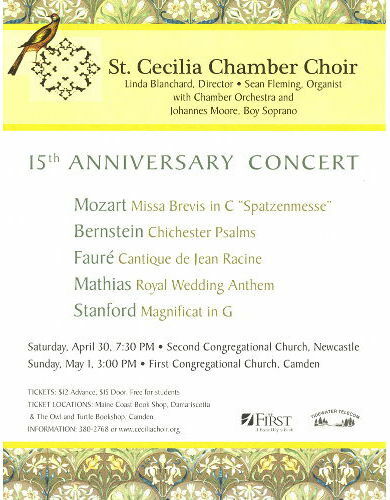 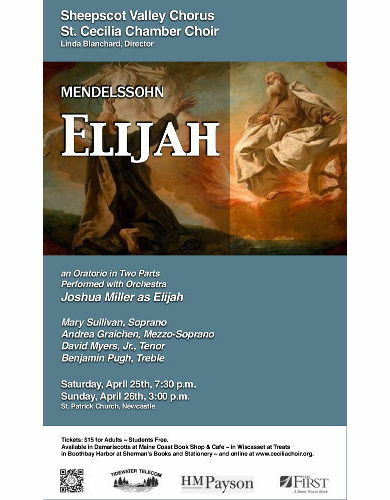 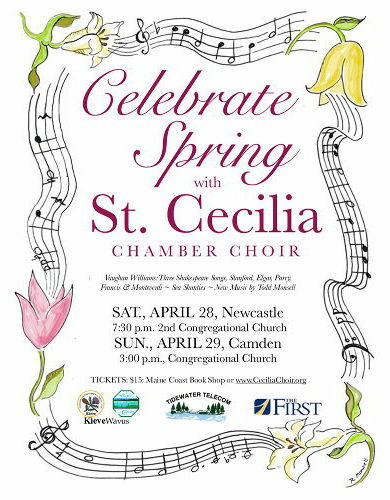 The St. Cecilia Chamber Choir will perform on Saturday night, April 28, 2012 in Newcastle at the Second Congregational Church at 7:30 P.M. 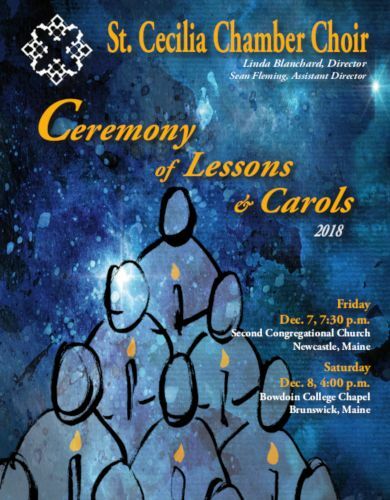 The concert will be repeated Sunday afternoon at the Camden Congregational Church at 3:00 P.M. Students are admitted free. 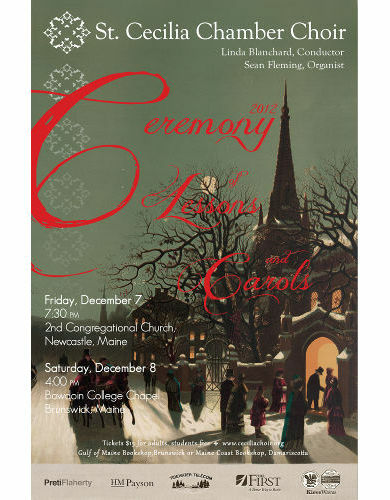 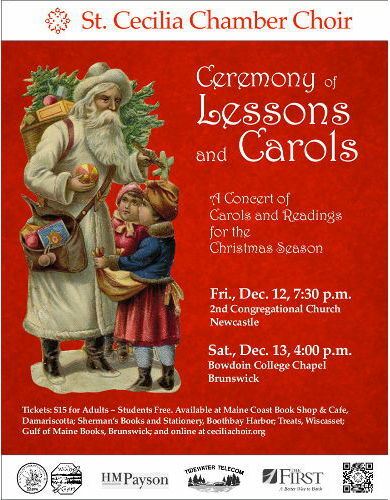 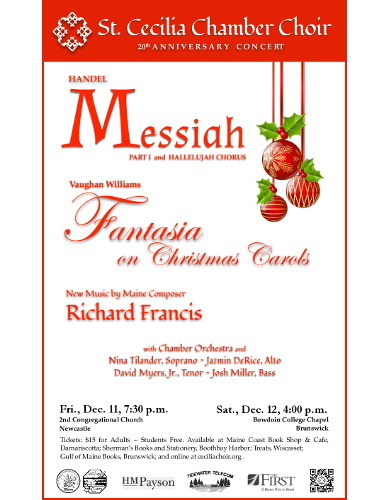 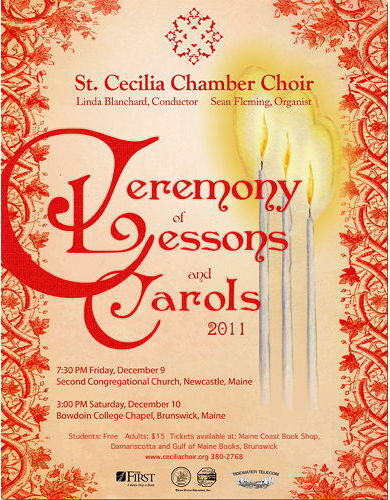 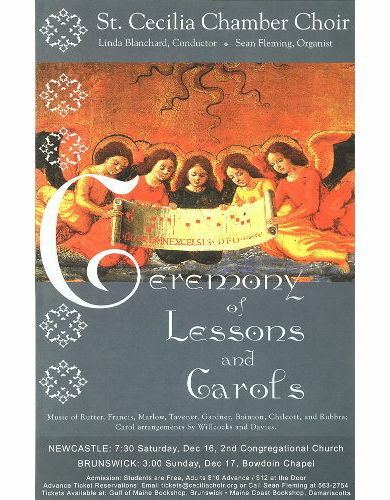 All other tickets are $15, and may be purchased online at www.CeciliaChoir.org; at the Maine Coast Book Shop, Damariscotta; or from choir members.